Thought I’d pass this along. 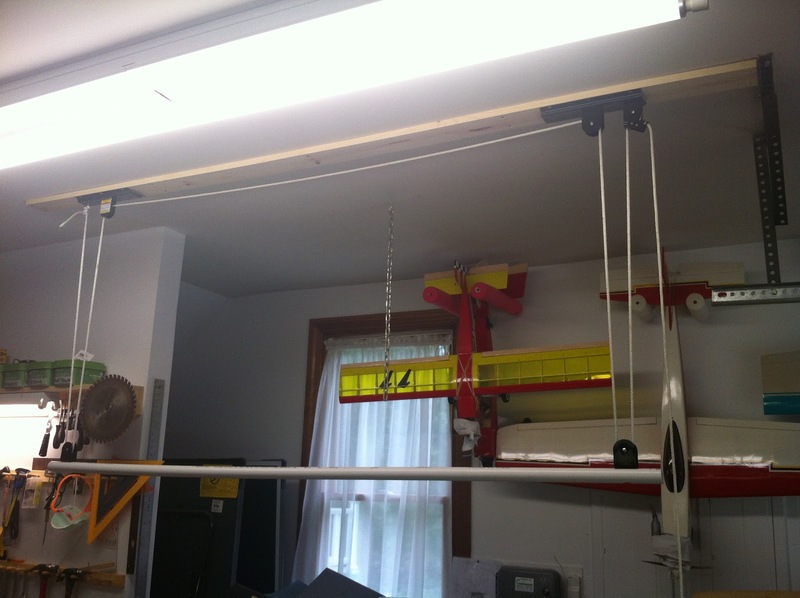 I have been simply hanging these light weight boats from eye hooks anchored in the ceiling at joist locations. It was a very awkward one man operation and really needed 2 because I had to get boat so close to the ceiling to clear the overhead door when up. Luckily I happened to find a bicycle hoist at Harbor Freight Tools that I readily modified for kayak use. The weight limit states 40#. I suspect this can be significantly extended by replacing the very cheap nylon “line” (term used lightly). I switched to some 1/4″ braided nylon. And, if you really had a load, I’d recommend drilling out the riveted axles and replacing them with a small steel carriage bolt. The hooks won’t go to waste. They can make good wall hooks for tool storage. Take them apart and you have 3. There are 2 per box = 6 total. I added a PVC strut to the lower pulleys for more control of hoist strap locations. I use nylon webbing for the straps, but still run that through the hollow in the pulley to bear the load. Also, the tubular webbing variety is softer on the boats. I’m using both at the moment. 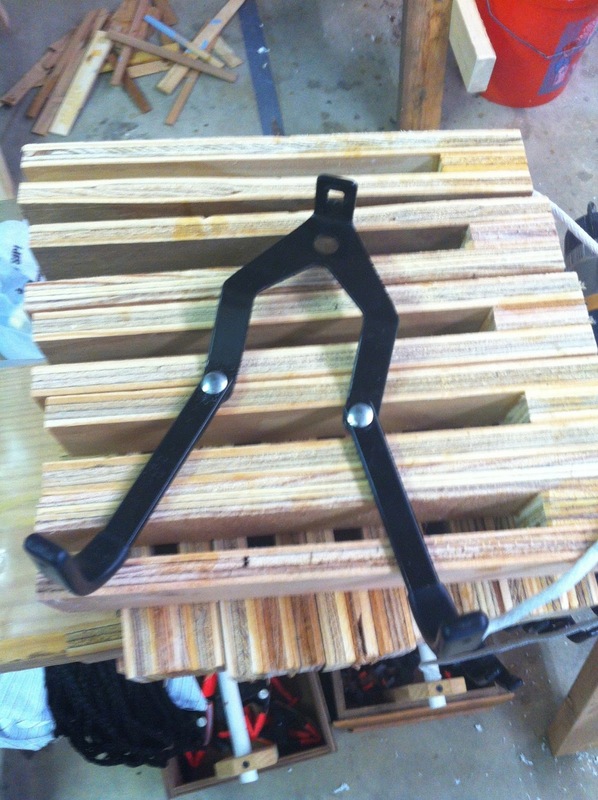 The upper pulleys are mounted to a 1x4x8′ board which is screwed into above floor joists (24″ OC). I further hooked the tail end with orange strapping to help assure the overhead door clears. Now the system is truly a one man operation. Very satisfactory. 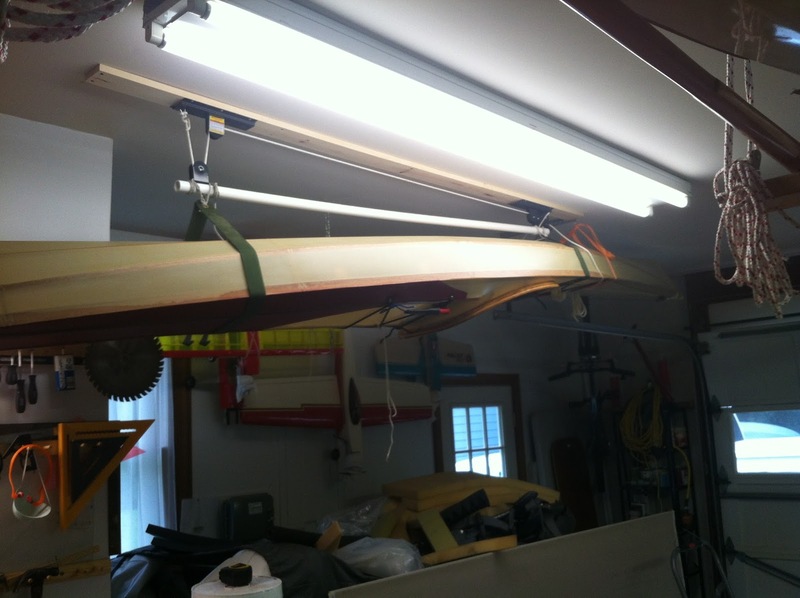 $9 hoist + $5 line + $1.50 board + $2.50 PVC = $18. No complaints. Made three. Ingenious use of the lift. We've been using these for a couple bikes for years and just detached them from our old garage to move to the new house. Too useful to leave behind! 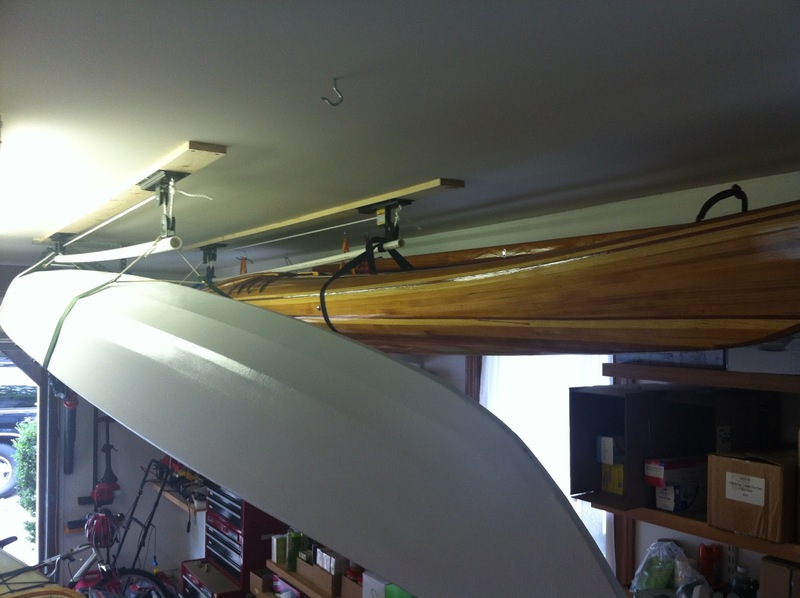 It worked so well I replaced my previous block and tackle arrangement for kayak #2 with the bike version. 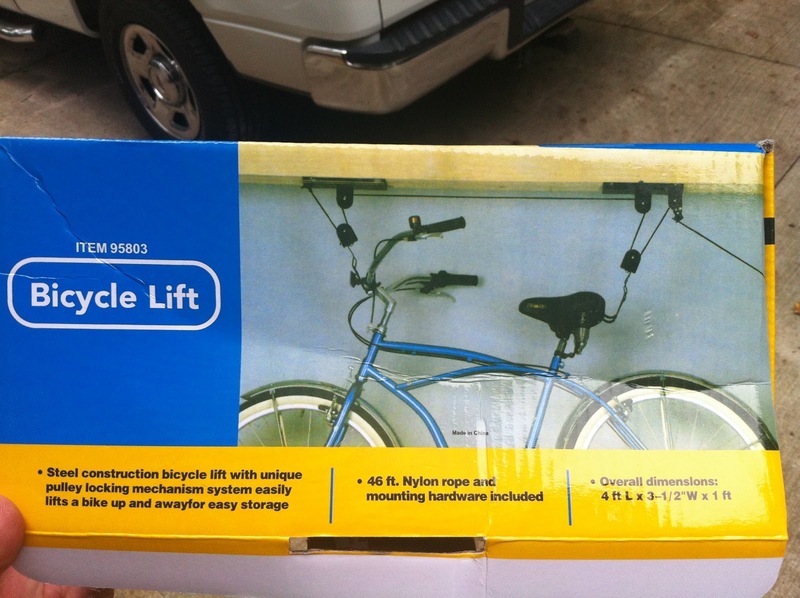 For bikes the ceiling hooks work best, assuming you can lift said bike and the ceilings aren't too high.